May you be happy. May you be healthy. May you feel safe. May you live your life with ease.  Introducing the Buddha’s teaching in Estonia and Europe. Organizing meditation courses, camps, study groups, trips and other events. Providing the short time ordination. Promoting the study of the Pāli language in Estonia and in Europe. Translating the Tipiṭaka into Estonian and publish it free of charge both online and in print. Producing an interactive Pāli-Estonian-Pāli Dictionary and publish it free online and in print. Exchanging information and collaborate with other Buddhist organizations around the world. Bhikkhus, there are these three grounds for making merit. What three? The ground for making merit consisting in giving, the ground for making merit consisting in virtue, and the ground for making merit consisting in mind-development."